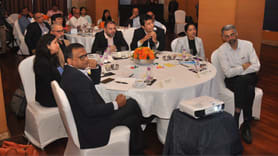 ‘Anveshan – 2019 – Fostering Insights’ sponsored by Deccan Fine Chemicals (India) Pvt. 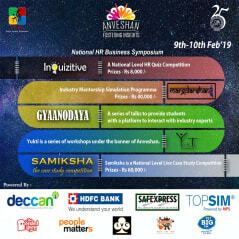 Ltd. is one of the largest National Level HR Business Symposiums conducted by any B-School in the country. It is organized by HRiday – the HR Club of Goa Institute of Management. This is the seventh iteration of Anveshan and is to be held on the 9th and 10th of February 2019. Post Graduate Management students across 250 B-schools in India participate in this event. The Souled Store as the Official Gifting Partner and Las Viegas Comedy Club as the Entertainment Partner.